Congratulations to our athlete Giorgios Balarjishvili who came away from the European U18’s with a SILVER MEDAL!!! 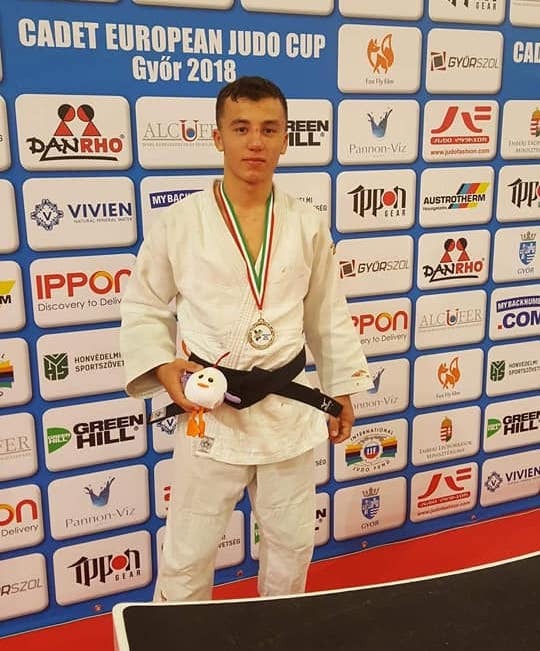 With 4 wins from 53 athletes in total Georgios managed to reach the finals of the -60Kg category where he narrowly missed out on gold, losing by a wha-ari to Victor Van Gerven from the Netherlands. With wins at World and European championships, Georgios has earned his place in the world judoka rankings. With 2 wins and narrowly missing out on 3rd place or champion Loucas Louca came 9th in the same -60Kg category. Gaining vital experience from his contests was our athlete Stylianos Yiasoumi who came away with hopes for the future. The Federation would like to thank coach Marinos Pipona for all his help and coaching at the competition. Congratulations to Georgios on his silver medal and to all our other athletes!